There have been good improvements over in physical health as well as life expectancy over the years with the development of medical knowledge. Previously it was seen that medical professionals were the one who had knowledge about matters related to physical health. But with improvement in technology gaining knowledge is possible for you even if you are not a doctor. Once you have your smartphone with you, it is possible to examine your health making use of modern medical applications. It is targeted especially for diabetic patients.Those who are aware of their glucose level can make use of this app very well.Glucose Buddy gives you the blood sugar data. It proves to be beneficial for those who usually measures the progress made by their blood sugar health. WebMD plays the role of a symptom checker for all health issues. When you feel unwell, this app can be used for identifying the problem areas and it will clearly tell the illness you suffer from. The app has a lot of options. One among them gives information about how to use first aid. It also has a tool called pill identification tool that provides you information about a pill which you want to use. The technology that Heart Fitness applies is approved by FDA. This app measures your heart rate and then gives you a detailed analysis of the health of your heart in chart and graph form. It even stores the heart rate information and measures your cardiovascular progress. In this way the blood pressure and heart health can be improved. This app can be best called as a three dimensional atlas of the body and its system. It is handy and can be carried easily. If you are looking for tiny systems found in the human body this app will help you in finding them. Those who take interest in searching for biological names, this app will make it easier for you. Moreover, the health problem areas can be easily found out with the help of this app. This app can be downloaded for $9.99. A very popular medical organization based in Texas has produced VaxNation. This app helps you in gaining information related to vaccination. People usually make use of this during emergencies when they want urgent details about their vaccination. This app can be used while you are out for a long vacation. If you need any information about vaccination of your family members, use this app for your benefit. As we all know that asthma is a quite a common disease and affects a lot of people. Most asthma patients usually complain that they cannot keep the track of breathing efficiency level. Asthma Sense is the right app for them as it helps them in knowing the updated information about breathing functions as well as medication schedule. If the patient analysis is not found up to the mark, then the app even give warnings for improving the health. 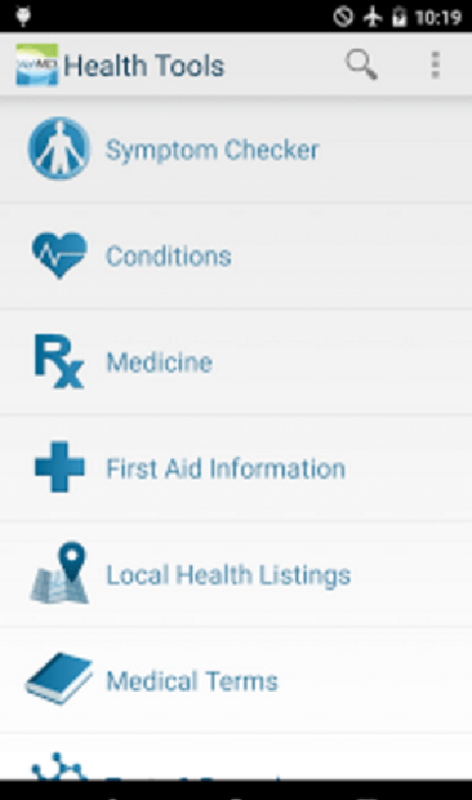 There are a few other medical apps along with the mentioned above that have brought convenience in the life of people. Everytime you do not require a doctor now to check what is going wrong inside your body. With the proper functioning of the medical apps, you can be your own doctor.